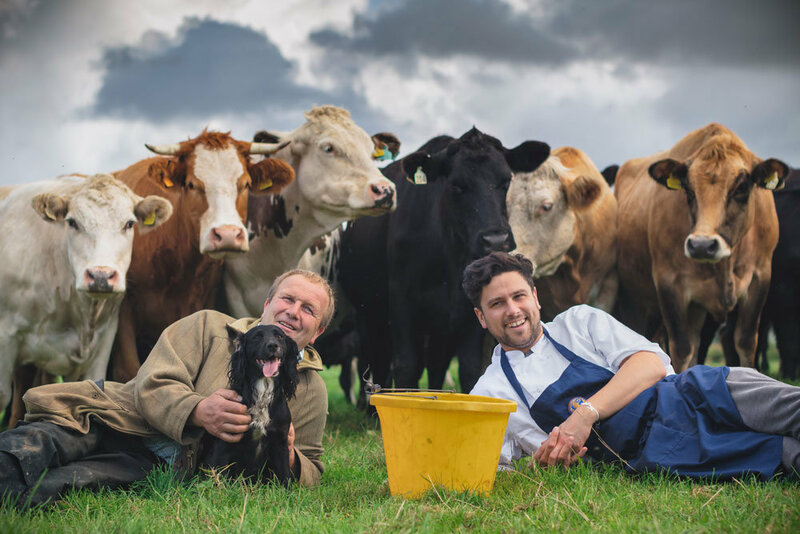 All our beef comes from local farmer Tim Johnson at Stokes Marsh Farm, Coulston, just nine miles from Devizes from his herd of outstanding Aberdeen Angus and Hereford crosses. Tim focuses on excellent animal husbandry and welfare, using natural feed and not rushing animal growth. We select heifers which make for great beef and has enough fat between the muscles and is marbled within to give both great succulence and flavour. 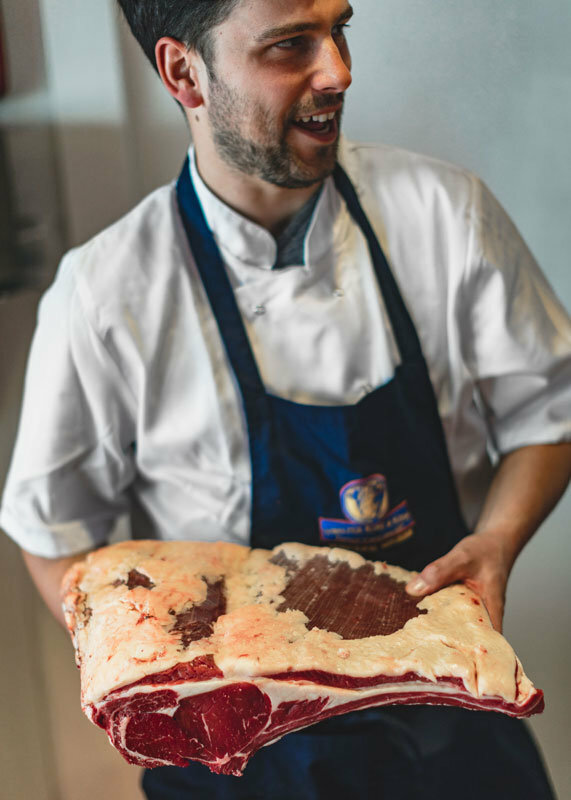 Walter Rose & Son is a family-run butchers, with a traditional high street shop and deli in the Wiltshire market town of Devizes, supplying some of the country’s top chefs and restaurants, including us! Quality links everything they do and they have built a longstanding relationship with like-minded farmer Tim. Each piece of beef is hung to reach its optimum level of maturity, treated individually, and checked daily. 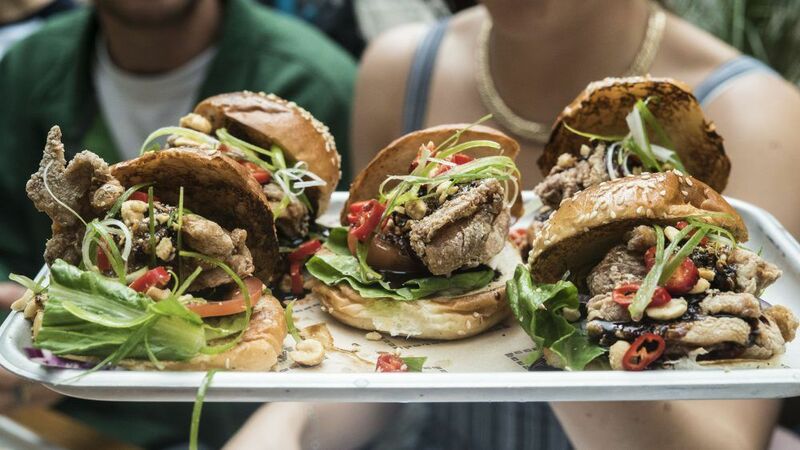 When paired with their team’s formidable butchery skills – bordering on the obsessive – the result is beef mince that is truly exceptional in eating quality. We request an 80/20 lean to fat ratio which makes for a juicily and flavoursome burger. 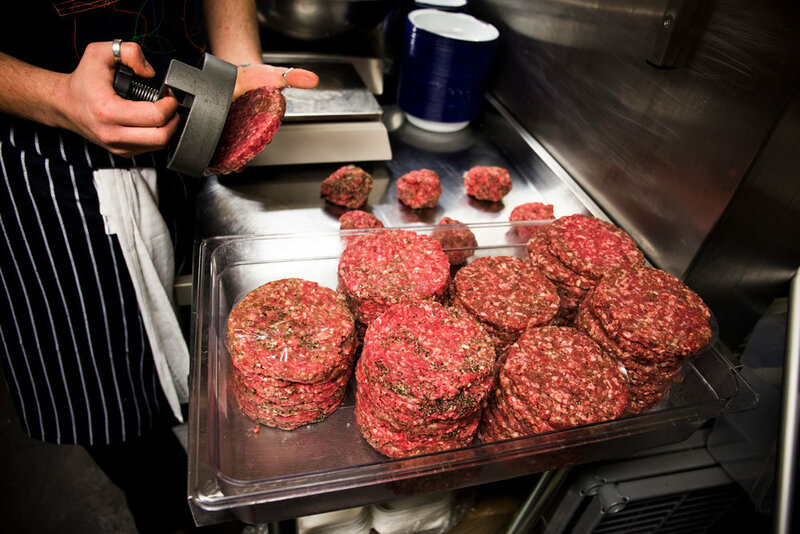 We form the patty’s ourselves and handle the meat as little as possible to keep the mince soft. Finally, we season with salt just before the meat hits the grill to ensure the meat loses no moisture before cooking. The result… well, we will let you decide on that.